Tour of the Mystic. 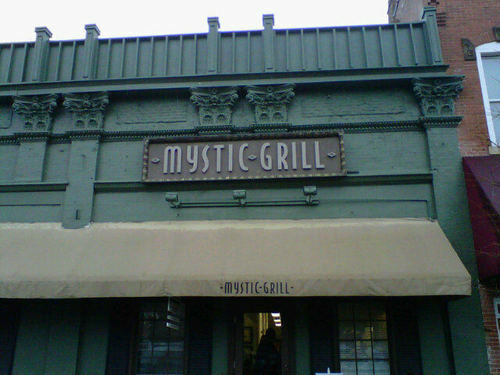 The only restaurant in the Mystic Falls. Wallpaper and background images in the Vampire Diaries club tagged: the vampire diaries. This Vampire Diaries photo contains tavern, nyumba bomba, and multiplex. There might also be sinema, movie nyumba, picture ikulu, sinema ukumbi wa maonyesho, sinema nyumba, kasri ya picha, diner, shule, and schoolhouse.